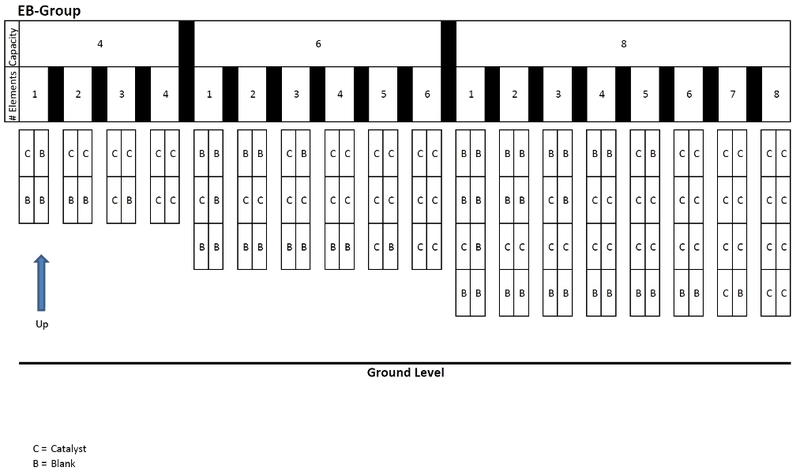 Exhaust- Element Placement Order in EMIT housings – Welcome to the EMIT Technical Forum! 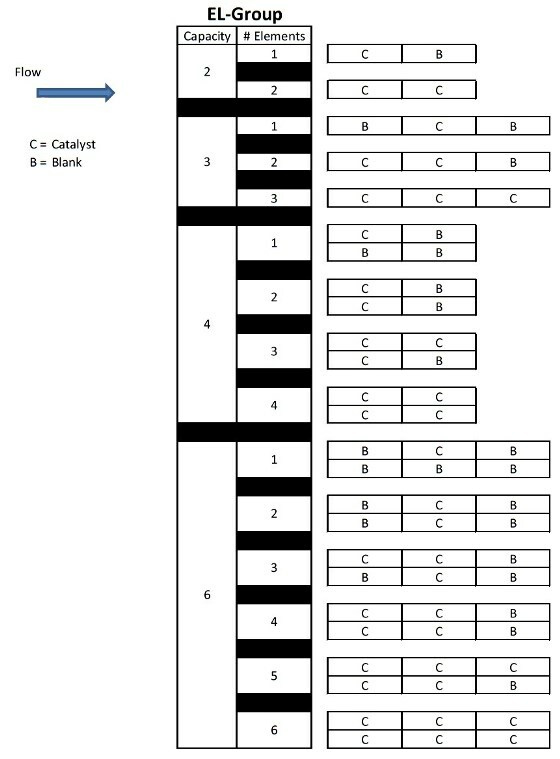 This article is intended to provide users guidance in the ideal position for catalyst elements and catalyst blanks within a catalyst housing for each group of EMIT catalyst housings so that they know exactly where to put elements and blanks that will provide optimal catalyst operation given a catalyst capacity and the number of catalysts that the user has to put in the housing. All EA-Group housings have an element capacity of two. 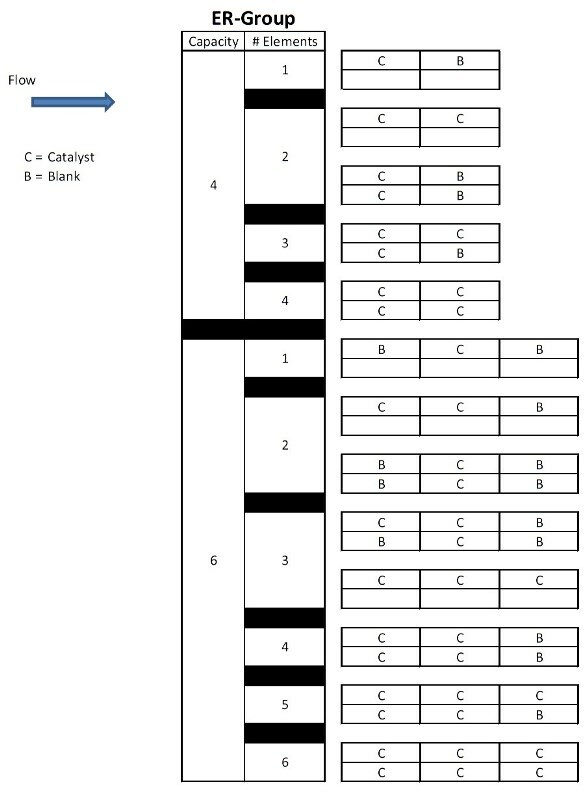 The ideal position when using a single catalyst element is in the downstream slot (farthest from the inlet flange). Element blanks should never be placed inside EA-Group housings.